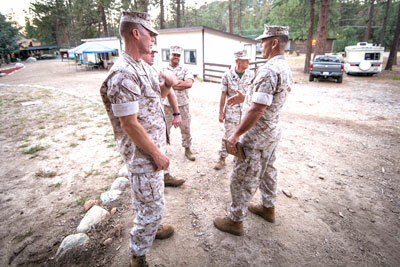 Leadership Challenge last year started an ongoing professional development program for Marine Corps JROTC Instructors. It is presented concurrently with the training offered for MCJROTC cadets at the Senior Leadership Course Competition Summer Camps. This training includes both classroom lectures and experiential training for MCJROTC Instructors during Senior Leadership Course Competition Summer Camps . Each year new disciplines in experiential training are covered. The subject for 2014-2015 is “How We Learn”. Sub categories such as the Three Learning Circles and the Three Methods of Learning, and more, will be included. 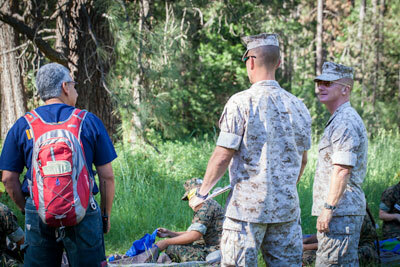 After classroom lectures, MCJROTC Instructors work out in the field alongside Leadership Challenge Certified Instructors by first observing, then participating in the supervision of the SLC camp events during cadet training. 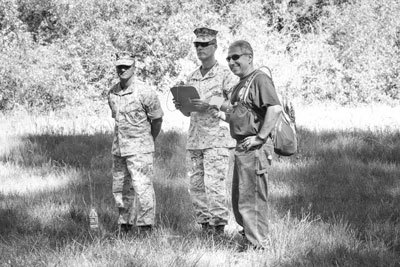 The goal is to teach experiential methods of teaching to MCJROTC Instructors who will then take them back to their classrooms and integrate same into their training syllabus each year. The main difference between standard instructional teaching and experiential teaching is letting cadets have the experience of failing first before succeeding. Lessons so taught tend to have more longevity in informing and retaining behavioral changes in students. At the end of each summer series of Senior Leadership Course Competition Summer Camps, MCJROTC Instructors will receive Certificates of Completion from Leadership Challenge Camps noting the subjects covered and the training hours earned. When thirty (30) or more training hours have been accumulated, Instructors will be offered an opportunity to test for an LCC certification which may include Certification to Association for Challenge Course Technology (ACCT) standards, Level 1. There is a nominal fee for the certification exam. Currently this professional development training is included in the tuition for Senior Leadership Course Competition Summer Camps at no additional charge by Leadership Challenge. Leadership Challenge also offers employment opportunities for both current and retired MCJROTC Instructors who have completed these courses.